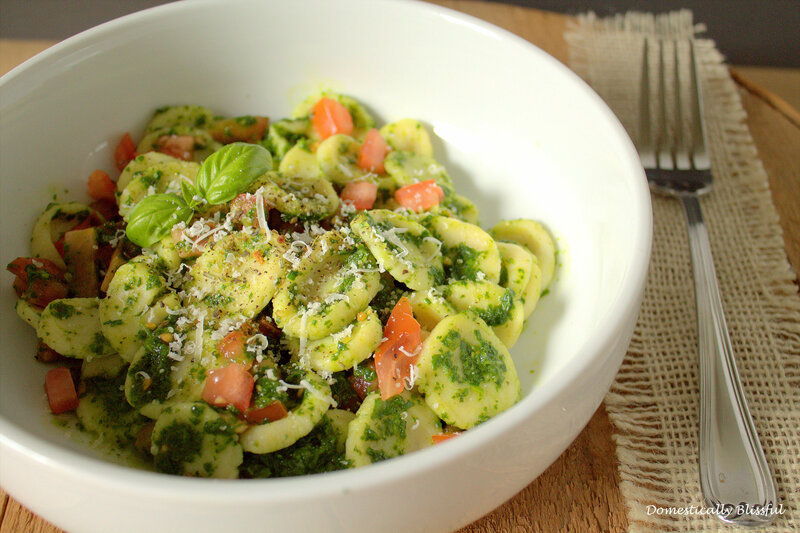 This Simple Homemade Orecchiette is a pretty simple pasta recipe because it only takes all-purpose flour, eggs, and salt. 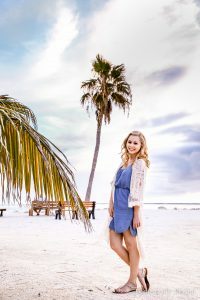 What’s even better is that you can take this recipe and turn it into any type of pasta you are craving, such as fettuccini, lasagna, or ravioli! *If you want a simple semolina or vegan recipe you can skip this little tutorial – I promise I will be back soon with one that will satisfy your pasta needs! Another great thing about this recipe is that it can easily be doubled or tripled! This recipe is good for two people, so if you want to make a meal for 8 you would need 4 cups of flour, 8 eggs, and 4 pinches of salt! First, mix two eggs in a bowl and set it to the side. 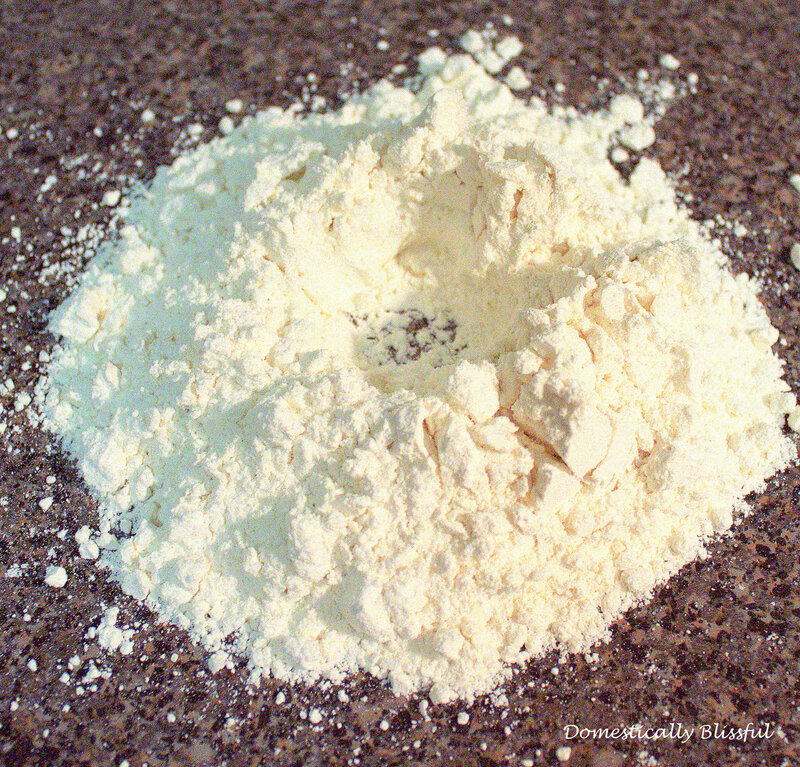 Place the 1 cup of flour and 1 pinch of salt on a clean counter and create a well in the middle – you could do this in a bowl, but where’s the fun in that? 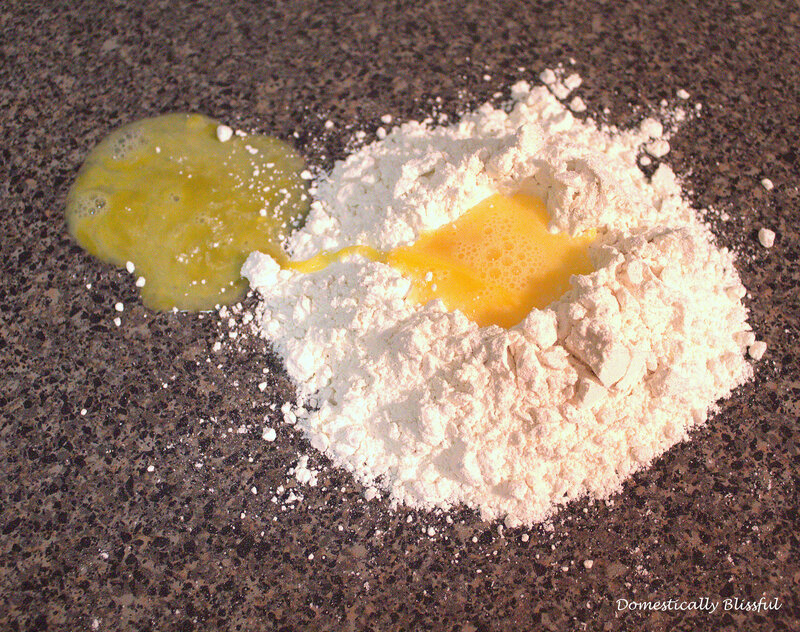 Pour the mixed egg into the flour mixture and slowly begin to mix the wet and dry ingredients together – if the egg tries to escape just pull it back in and contain it with some flour. Knead the dough until it is smooth and no longer sticky – if the dough is sticky add more flour, if it is too dry you could add a little olive oil. Wrap the dough in saran wrap and let it rest in your refrigerator for at least 30 minutes. 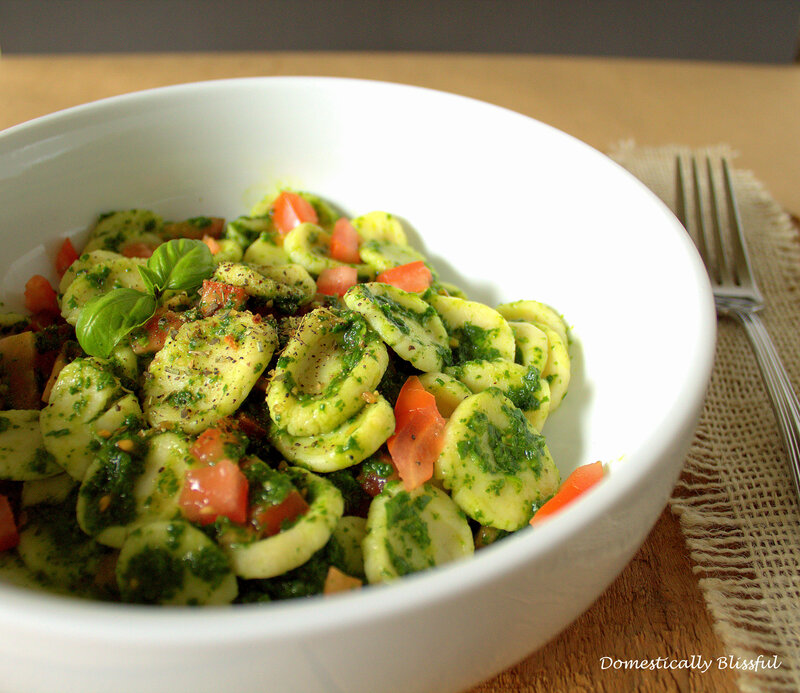 Once you are ready to make the orecchiette sprinkle some flour on the counter and pinch off a good portion of the dough. 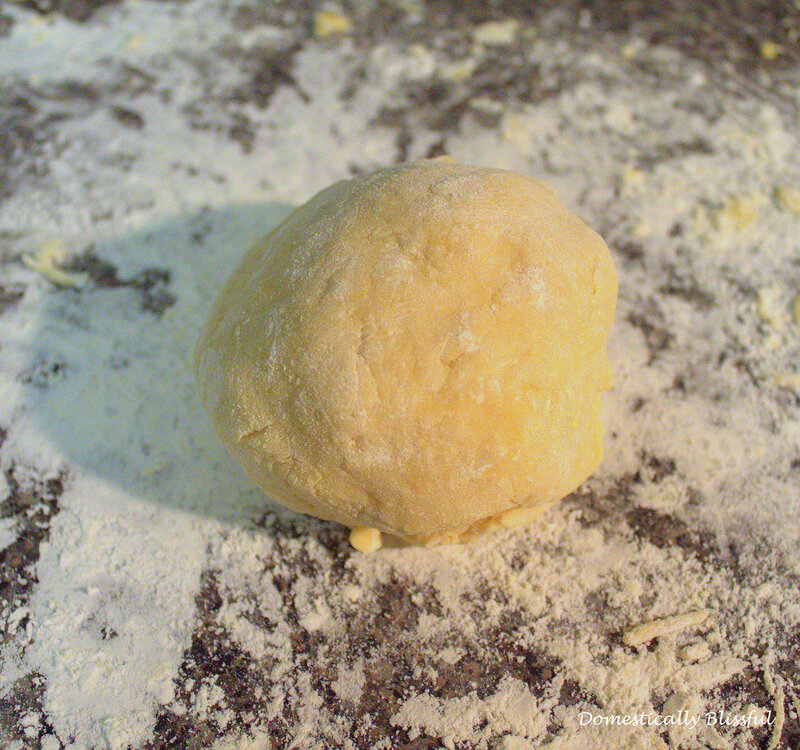 Roll the dough into a thin log – just like when making homemade gnocchi – until it is about ½ – ¾ inches thick. 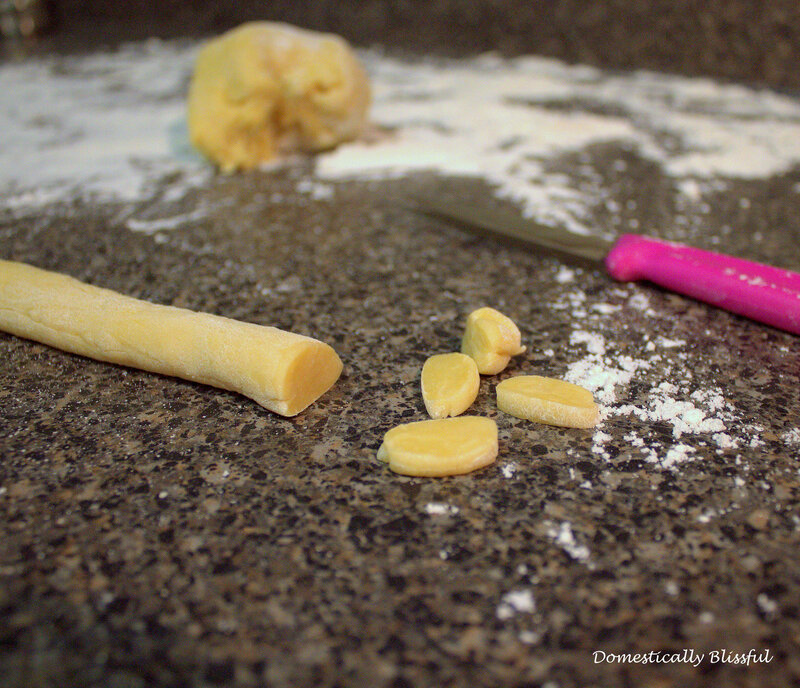 Take a knife and cut the roll of dough into little pasta disks that are about ¼ inch thick. 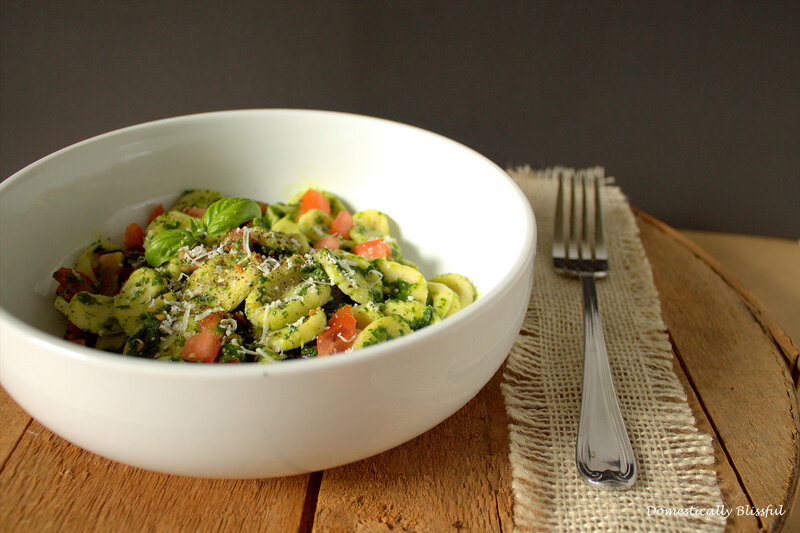 Don’t worry about making each orecchiette the same no one is actually going to measure your pasta and tell you it is too thick or thin – just remember they will plump up when they cook! 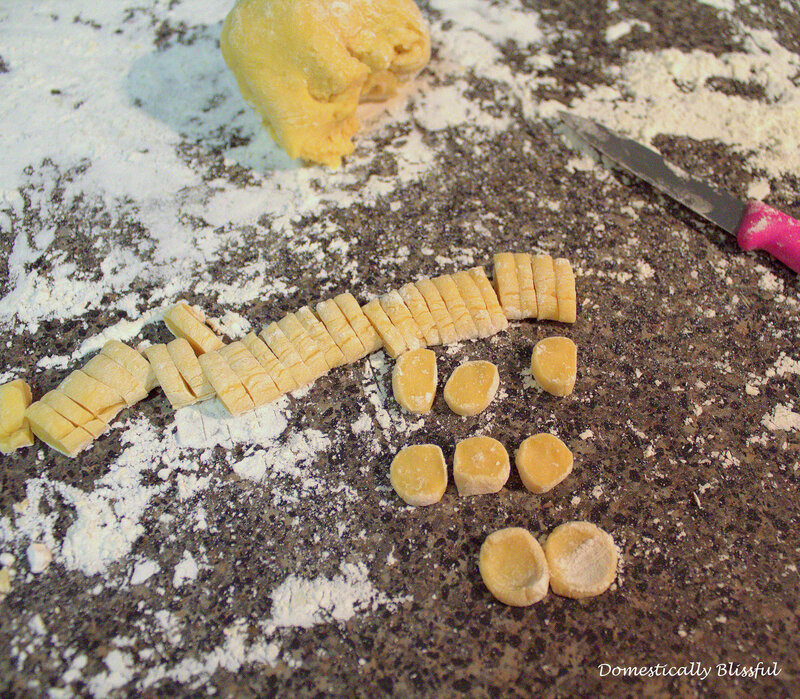 With a floured thumb, press the pasta disks to make the cute little orecchiette shapes. Continue this process until all of the dough has magically become orecchiette. 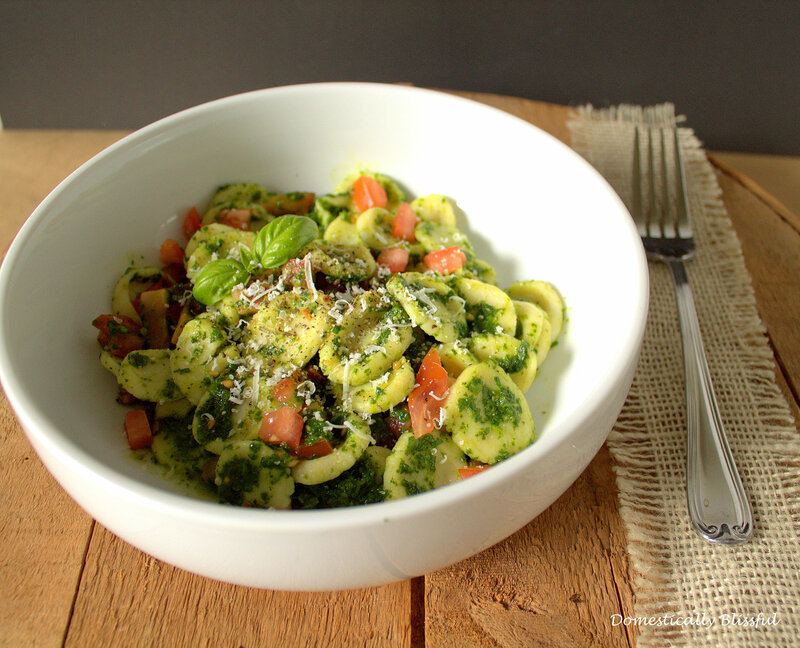 In a pot of bowling water – with a good amount of salt to give it it’s flavor – cook the orecchiette. Cook the pasta until al dente. The time it will take really depends on how long it is sitting out before you cook it and how thick the orecchiette is – it could take anywhere between 1-2 minutes or 5-10 minutes. Serve with your favorite sauce or try this Creamy Alfredo Sauce!